We are now fully booked for the 9 day Pilgrimage but we are inviting you to walk with us for one day of the pilgrimage, the ancient path between Sky and Earth that is dedicated to the Goddess and Saint Brigid. Join Dolores and Karen for the first day of Brigid`s Way Pilgrimage as pilgrims from around the world embark on the epic 9 day journey from Faughart to Kildare. We invite you to walk from Brigid`s Shrine in Faughart to Dundalk town. OWN TRANSPORT suggest to leave car at the shrine and then taxi pool with others from Dundalk centre. Taxi at own expense. LIMITED PLACES Booking and payment in advance is required via paypal €15. When booking please enter your full name which we require as we will have a quick registration at the start. Please book and pay here. Come celebrate with us as we enter into the Kildare, home of Brigid`s Fire Temple, Sacred Wells and the Solas Bhride centre the place of Brigid`s perpetual flame kept alight by the Solas Bhride sisters. This is a day of celebration and rich in ceremony, from Pollardstown Fen Nature Reserve via the Curragh to Kildare town. TIME 10.30 pm to 17.30pm. Please arrive by 10.15 am as we will not be able to wait for you. OWN TRANSPORT we suggest to leave your car at the Fen and then taxi pool with others from Kildare centre. Taxi at own expense. 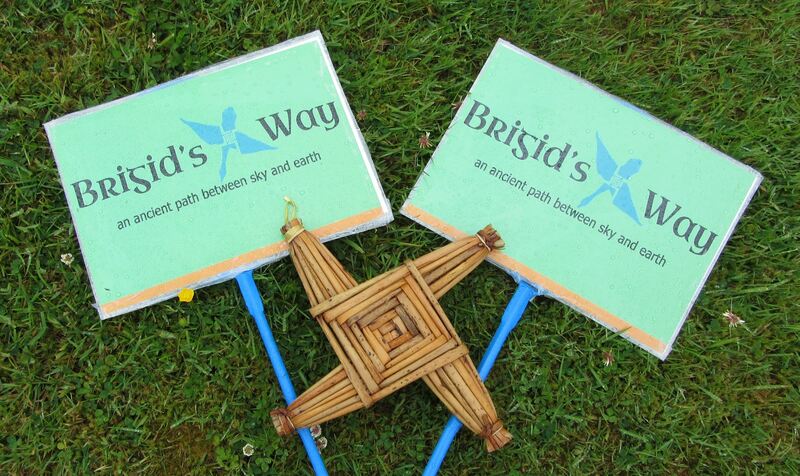 Brigid’s Way was inspired by a strong desire to revive the ancient art of pilgrimage, which was such a central part of the indigenous tradition of this land. By following Brigid’s footsteps and those of our ancestors, walking as a pilgrim will reconnect you with the sacredness of the earth and the majesty of the sky. You will awaken to the consciousness of Brigid, with the opportunity to connect with your creative feminine power and unite this with your active masculine strength, whether you be male or female or other . This is Brigid’s gift – to accept all and unite both sides of our being and our world in harmony and balance. Brigid remains an inspiration for us all in these changing times. This Celtic Pilgrimage passes through beautiful Irish landscapes from the Lisnawilly Estate and picturesque villages of county Louth, the lush farmlands of Meath, Donadea Forest Park, Coolree Bog, the Grand Canal, Pollardstown Fen and the Curragh of Kildare. Along the route, glittering like jewels in the earth lie the sacred sites of the Holy Well, Faughart, Knockbridge Standing Stone also known as the Cuchuallin Stone, the Hill of Slane, the Hill of Tara, Brideswell Kilcock, Brigid’s Fire Temple and Holy Wells, Kildare. This alignment of sacred sites reflects the Cygnus (Swan) constellation which was prominent in the skies at the time of St Brigid’s birth in the 5th Century AD. It may have formed an ancient ‘sightline’, pointing out the place on the northern horizon where the cross-shaped swan constellation, Cygnus was rising in ancient times. For details on the history of this Pilgrimage see Origins of Brigid`s Way. 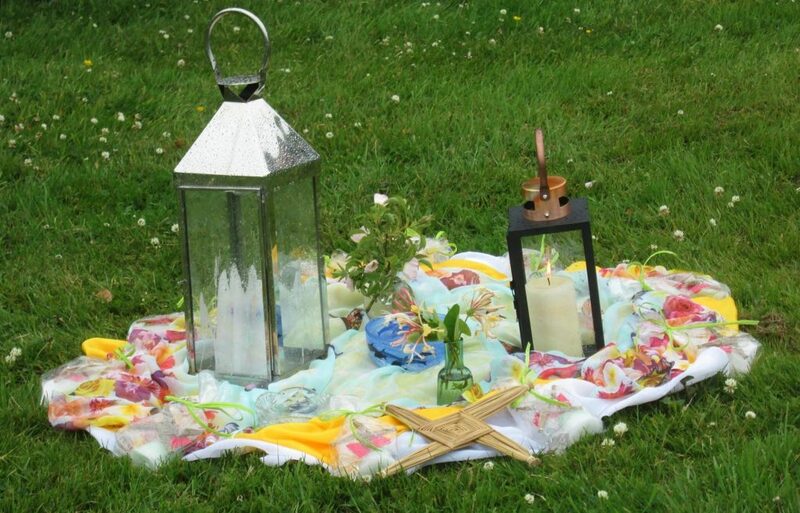 Starting on the 14th of July this year, co-founder Karen Ward and a team of volunteers will host and facilitate the complete 9 day pilgrimage from Brigid’s Well and Shrine near Dundalk, Co. Louth, ending in Brigid’s Monastic City Kildare on the 22nd July. Guests will join along the way and facilitate different aspects of the pilgrimage including daily ceremony and meditations. Dolores Whelan, co-founder, is taking time out from the organisation this year but will be delighted to join us on the first Day of the Pilgrimage. Dream in a bright and soulful future.